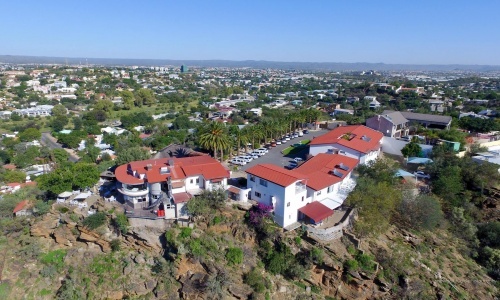 High on a hill above the city of Windhoek,where the free winds blow and far horizons beckon, the unique Hotel Thule offers unsurpassed views, an exclusive getaway, and warm hospitality. 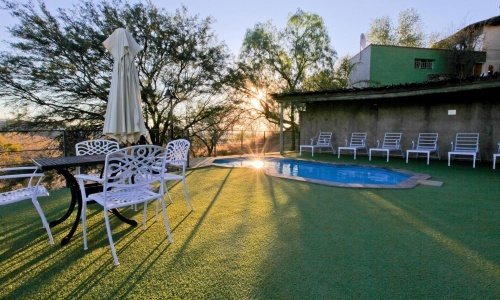 Come and enjoy the relaxing pleasures of a remote country estate. The in-house On the Edge Restaurant not only offers international style cuisine with a Namibian flavor, but also a spectacular view of the city of Windhoek. The adjoining balcony is ideal for dining, whilst admiring the star-lit skies above, or for starting the day with a scrumptious breakfast. The Sundowner Bar & Terrace offers the ideal place for a scrumptious light meal, Namibian style sundowner or cocktail, best enjoyed with friends whilst overlooking the sunset over Windhoek. The en-suite guest rooms are spacious and elegantly furnished. All of the 25 rooms are fully air-conditioned and equipped with a tea and coffee station, a mini bar (on request), a safe, satellite television as well as free Wi-Fi connectivity. 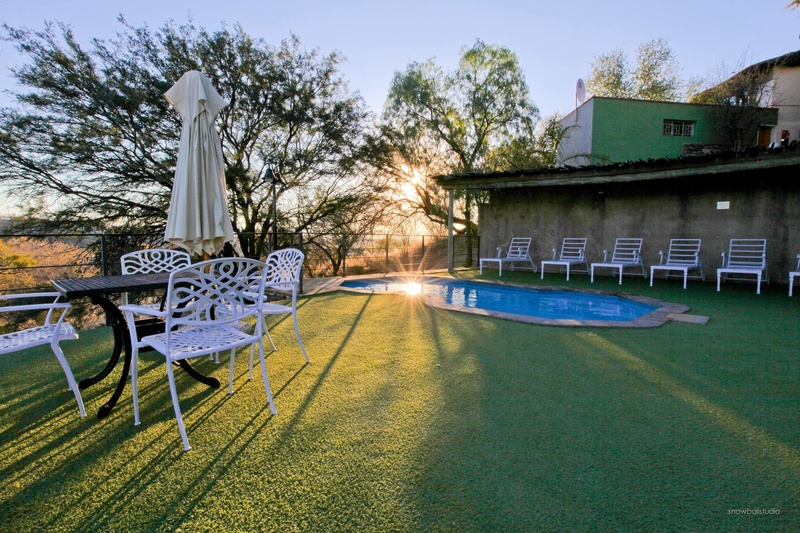 Hotel Thule is perfect for a quick business trip to Windhoek or an extensive family holiday. 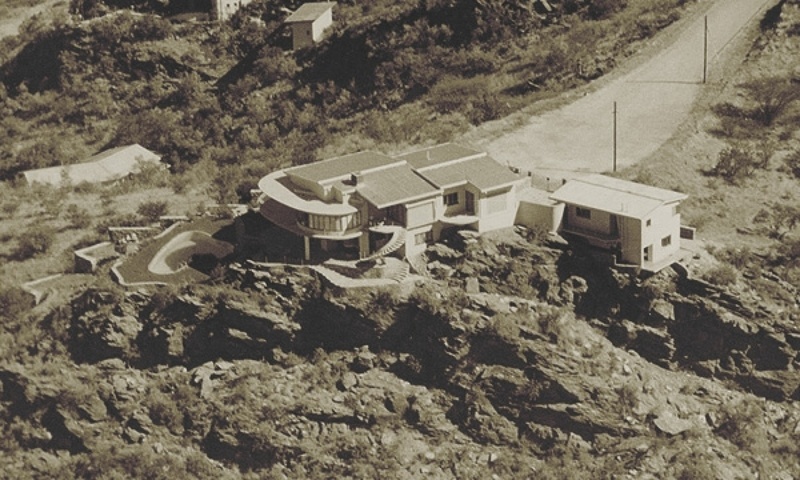 Hotel Thule once was a luxury home on a Windhoek hilltop. Fascinating are still the sweeping views across the city and the mountains beyond. The residence’s name Thule has been retained and was changed to Hotel Pension Thule and later to Hotel Thule. The luxury home was built by construction and property development millionaire Edmund Lafrenz in 1960, for himself and his wife Liselotte. The exclusive ambience was completed by the mysterious mansion perched on a high hilltop and guarded by stately palm trees. During 2000 this exceptional piece of real estate came onto the market. 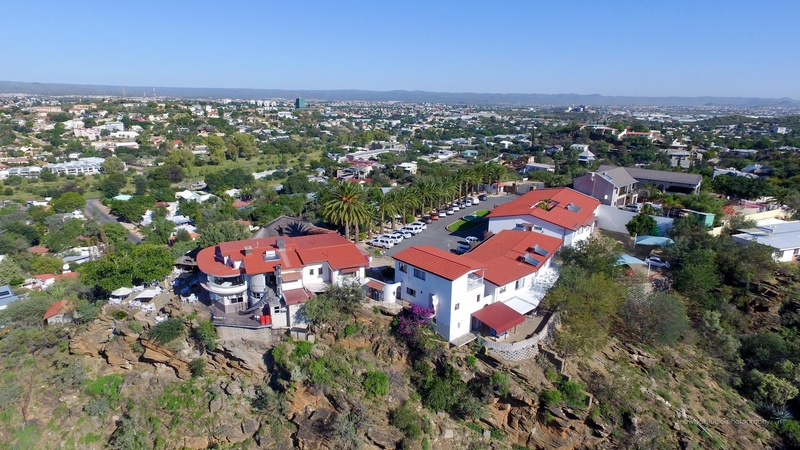 Windhoek construction and tourism entrepreneur Wolfgang Egerer initially had the idea to refurbish the residence with the view of selling it, and to develop the property in the form of a number of top luxury apartments. After consulting the architect, Piet Odendaal of Büro Odendaal Architects, Odendaal concluded that this magnificent property could not be reserved for exclusive use only. It was carefully considered that the establishment of a hotel pension would take an appeal to the general public to enjoy the facilities and breath-taking views. It was experienced positive and the pension has become a 4 star hotel. 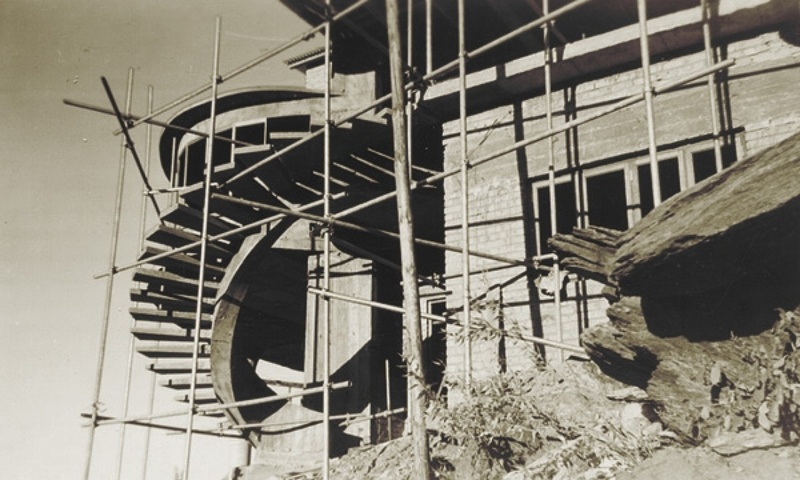 “The construction is sound, and we were able to retain the original timber frames” said the late Wolfgang Egerer, who like Edmund Lafrenz before him, has made a name for him in the construction industry. A selection of photographs of the original Lafrenz home is displayed in our public areas. We trust that you feel at home in the luxury exclusive ambience of Hotel Thule.